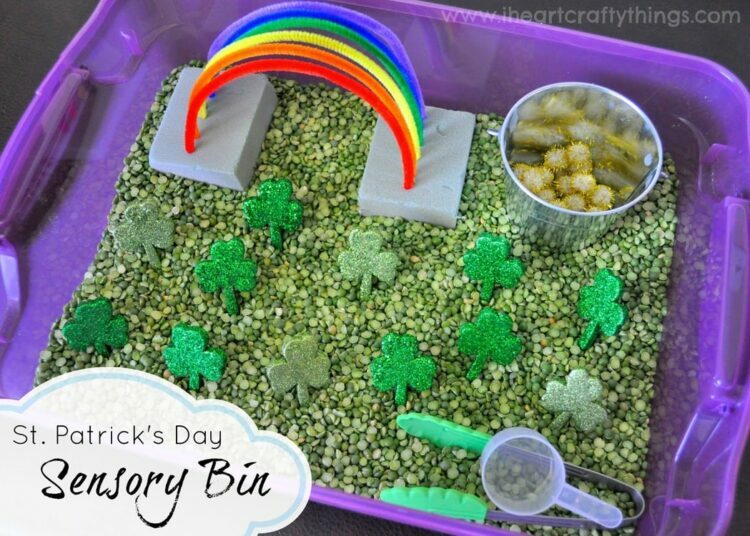 We have been doing all things rainbows and St. Patrick’s Day this past week so it was perfect timing to get our bin out and put together a St. Patrick’s Day Sensory Bin for my daughter. 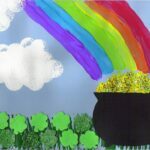 I set up a rainbow along the back of the bin and to go along with the old age saying, I added a pot of gold at the end of the rainbow. 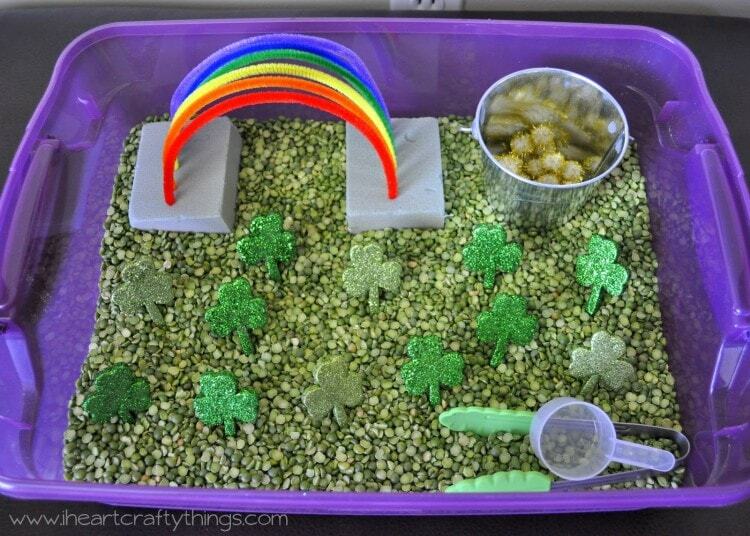 I also used split peas as my base to act like a clover field. I think the little glitter foam shamrocks placed in the bin really helped me achieve that clover field look I was going for too. Once I had it all put together my daughter could not wait to dig in. 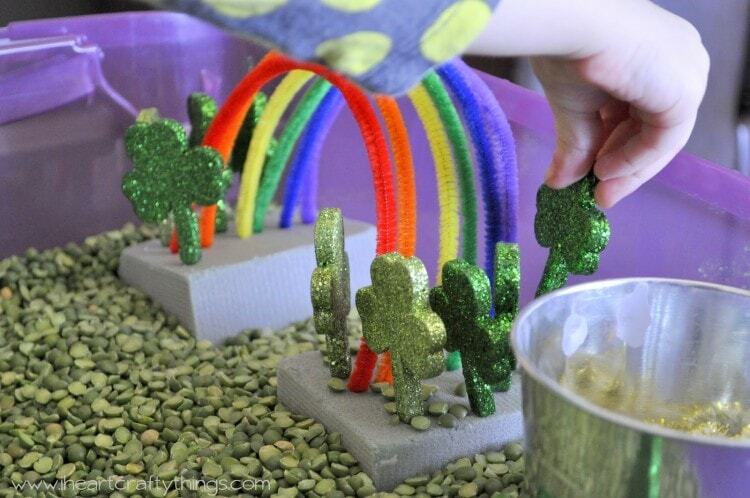 I was excited when she discovered that the shamrocks could be poked down into the foam blocks around the rainbow. She quickly had them all in place around the rainbow which looked so stunning! 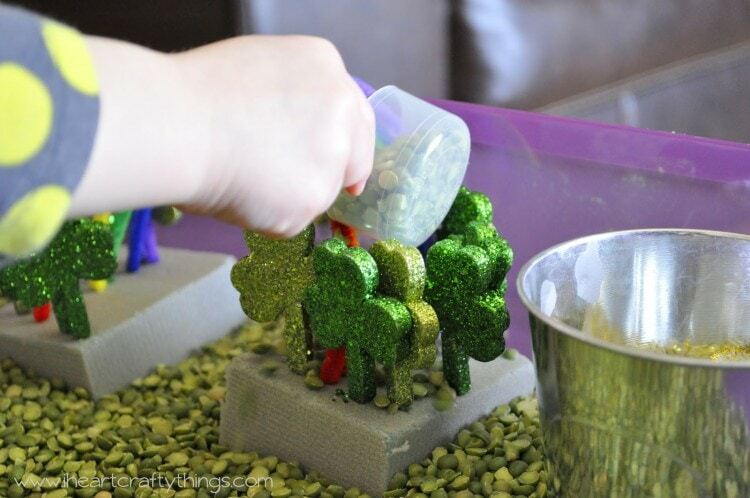 She loved using the little scoop to pour peas all over the shamrocks. 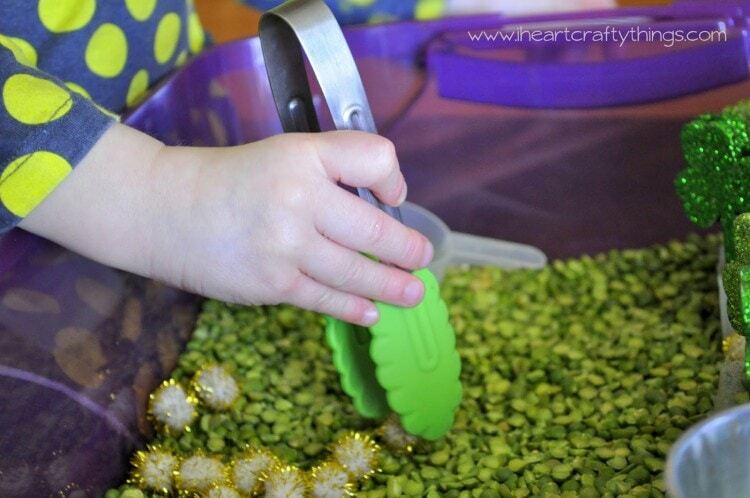 At one point I dumped the pot of gold out into the sensory bin and she picked up her tongs to transfer the gold poms back into the pot. 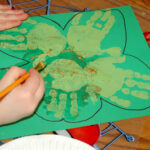 Such awesome fine motor practice going on here! 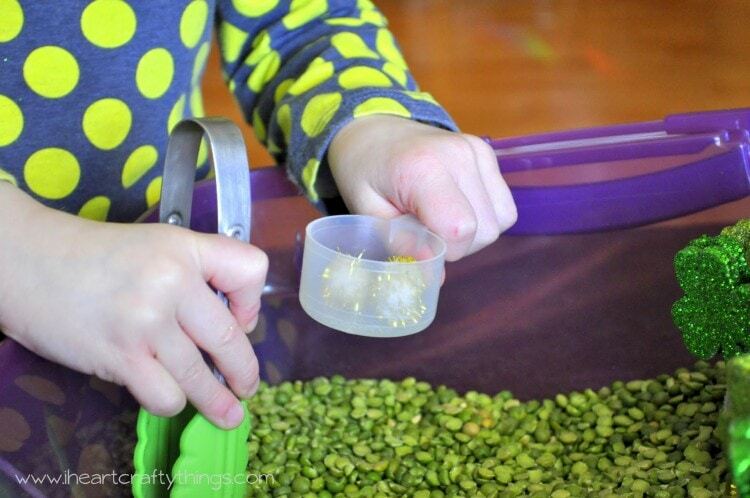 I loved how she discovered that she could transfer several gold poms into her little scoop and then pour it into the big pot. She’s all about saving herself time. Hahaha! She played for about 45 minutes trying out all different sorts of things. 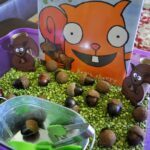 Definitely a successful sensory bin and one that I know she will enjoy getting out several more times in the next couple weeks before St. Patrick’s Day. Great ideas!!! Thank you for sharing your brilliant ideas..it's amazing how you can create beautiful things! i am inspired!